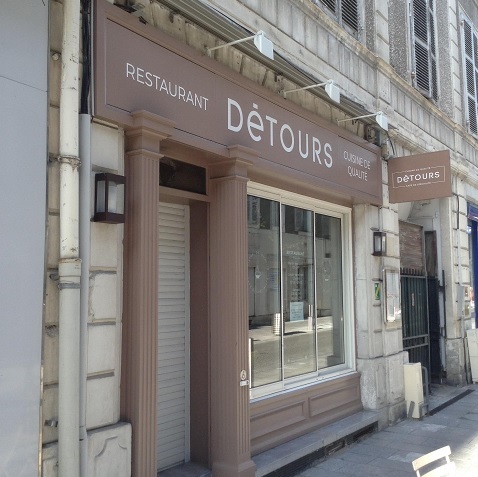 Detours (14 rue Latapie, 64000 Pau, Communauté d’Agglomération Pau-Pyrénées, Phone: +33 5 24 36 53 02) is one of the latest most touted new tables of Pau. 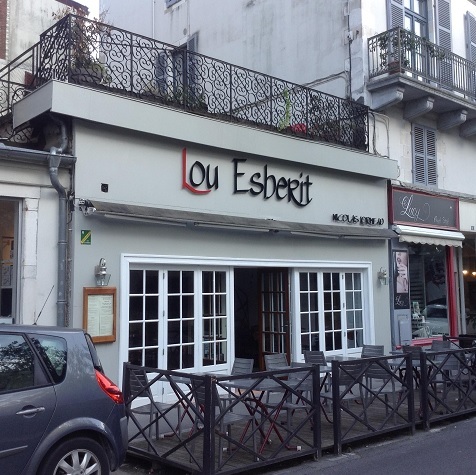 In Pau, I did hesitate between traditional food (Chez Olive, Chez Laurette, Henri IV) or the contemporary casual eateries opened by Chefs who have spent long years alongside the greatest Chefs of France (Chef Nicolas Lormeau of Lou Esberit, Chef Jean-Pascal Moncassin at Detours). Not an easy decision as I am partial to those two different types of restaurants, but I am already familiar and do cook traditional french cuisine (from all regions of France) at home, therefore I decided to see what the well trained artisan Chefs had to offer in their casual eateries. 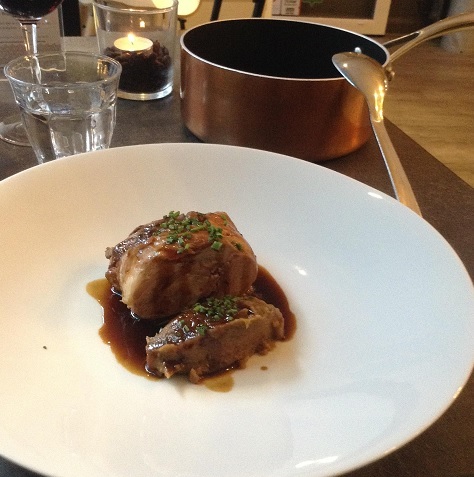 My decision was influenced by the fact that I do already cook classic French food at home, and not contemporary takes on that type of food, therefore I suggest you try their traditional food if you are in Pau. Chef Jean-Pascal Moncassin worked, in the past, at Michelin starred Michel Sarran in Toulouse as well as reknown restaurants such as Le Crillon and le Grand Véfour. 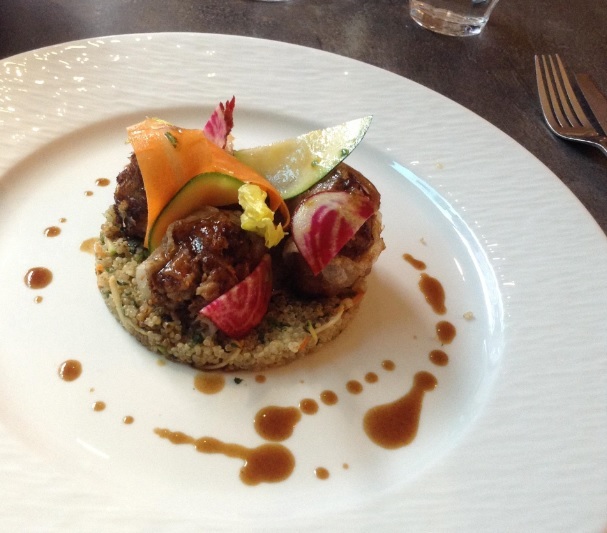 Jarret de veau en nems croustillant, quinoa aux petits legumes, herbes fraiches. Nems filled with veal, on a bed of quinoa and vegetables/fresh herbs. Overall food rating: 7/10 A Chef who knows when and where flavours need to be expressive or subtle, the food tasty. Chef Nicolas Lormeau has honed his skills alongside some of France’s best Chefs: Michel Trama (Aubergade, 2 star Michelin), Gerald Passedat (Petit Nice, 3 star Michelin), Gilles Goujon (Auberge du vieux puits, 3 star Michelin). They have, in France, many Chefs with 2, 3 star Michelin skills who have decided to open their own venues, and get this: they are there, in the kitchen, cooking for real. A distant dream in many parts of the globe. No wonder France will remain a superpower of the foodie world for a while. 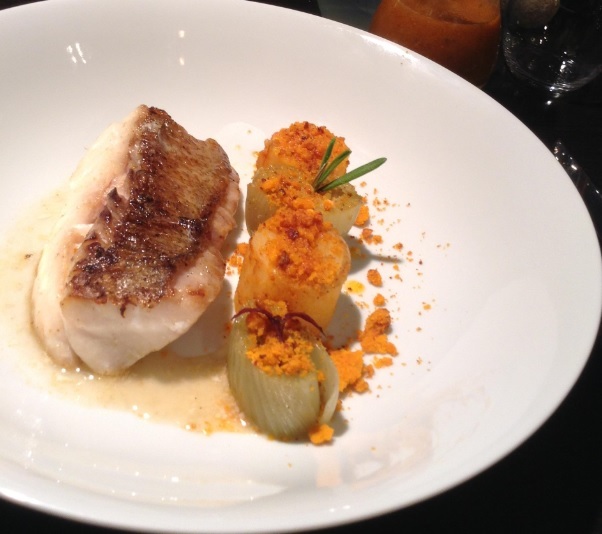 In 2016, Nicolas, did open his own restaurant, Lou Esberit, in Pau, which style of food can be described as “bistronomy” if you wish, and his talent has since been rewarded with, among other achievements, a selection in the top best 3 Chefs of the Credit Agricole’s Talents Gourmands Pyrenees/Gascogne (not a light reward in a region with plenty of talented Chefs). 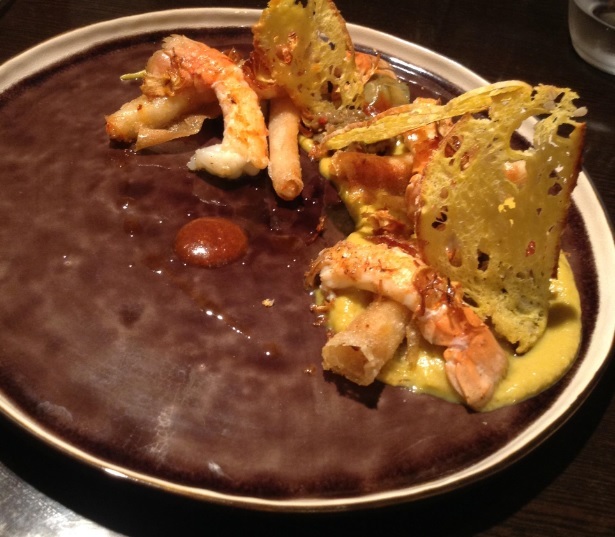 Overall food rating: 5.5/10 On my visit, the Chef tried too hard to be creative, Alas …to not much effect.